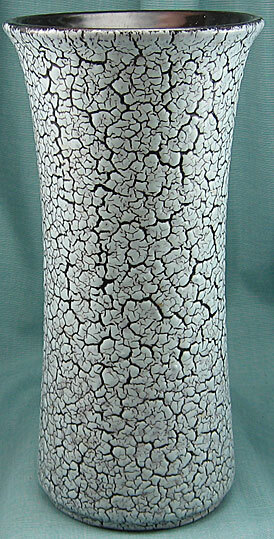 This West German pottery vase is by Jasba in the Cortina glaze. 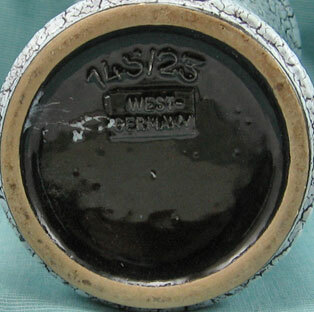 The design features a dark brown underglaze with a white, curdled top glaze. The white actually has just a hint of a green tone. This is fairly early in the West German era since it was introduced in 1956.